NCC requires that you maintain satisfactory academic progress. The following academic progress standards will be enforced. If you are enrolled, you must maintain a minimum cumulative grade point average (GPA) of 2.0. If this guideline is not met, you will automatically be placed on academic probation and will be notified in writing of the probationary status. We ask that you visit with an advisor to discuss corrective actions that may help to promote satisfactory academic progress. Academic probation will be removed when the minimum cumulative grade point average is achieved. Academic suspension is a forced removal from the College due to failure to maintain the minimum cumulative grade point average required. If a person earns both cumulative and a term GPA of below a 2.0 two consecutive semesters/terms in a row, they will move to academic suspension. You may be allowed to return to school after sitting out a semester/term. You can appeal academic probation or suspension by following the College Grievance Procedure. The Associate of Arts degree is designed to provide the first two years of a typical college or university bachelor’s degree program in liberal arts or general education. The Associate of Science degree, with a designated specialty, is awarded to a student who wishes to enter the workforce or continue their education. The Associate of Applied Science degree is awarded to a student who completes a two-year technology curricula. The Associate of General Studies degree is designed for those students who have chosen to follow an individualized course of study, which is not specifically designed to transfer to a baccalaureate degree program. A Diploma is issued to a student who completes a full-time career and technical curricula of at least one academic year. A Competency Certificate may be issued for a student who demonstrates competencies in a career and technical program. An Adult High School Diploma is issued to a student who completes the specified requirements. Grades represent the official record of your level of achievement in a course. The following grading scale is utilized at NCC. WebAdvisor is a powerful tool that provides NCC students real-time, up-to-date information online. It can be used to check final grades, and view schedules and transcripts from any Internet connection. You can obtain instructions on how to access WebAdvisor through your advisor. Specific courses have been approved by the College to be taken pass/fail. Such courses will be shown on the transcript with a designation of the appropriate number of credits and either a P or F. Courses taken as pass/fail may be applied toward graduation requirements if the course meets program requirement. Pass/fail courses will not be included in the GPA calculations. To receive a passing grade a student must receive a C or higher. For information on which courses, or under which situations a course can be taken pass/fail, contact the Vice President of Student & Academic Services. If a student plans to transfer the credit from a course taken pass/fail it is their responsibility to check with the receiving institution to determine their acceptance/transfer policy. Students should refer to course syllabi for course expectations, grading criteria, attendance, and other class policies. You are expected to attend class, labs, and other course experiences as scheduled. Instructors will advise you on the policies for attendance and tardiness at the beginning of each term. If you have excessive absences, you may be withdrawn from class at the discretion of the instructor, Academic Dean and Vice President of Student & Academic Services. If you violate the attendance policy after the last day of withdrawal, you will receive the grade earned. Attendance requirements may affect VA or other financial aid benefits. If you know you must be absent, it is your responsibility to notify your instructor as soon as possible. Last day of attendance will be determined by the last time the student attended class or logged into an online class. Students who have not attended (including online) within the first ten calendar days of the beginning of their course will be removed. In order not to disrupt the learning activities of the College, students, staff, and visitors, are not permitted to have minor children accompany them into classrooms, computer labs, laboratories, studios, or clinical settings even if supervised, except during officially College-sanctioned special programs or events (e.g., Junior Career Day, 8th Grade Career Day, summer camps, etc.) without prior written approval from the Vice President of Student and Academic Services. You may repeat a course as many times as you wish unless specific courses/programs state otherwise. The original grade will appear on your transcript with an “R” (repeat) next to it. The “R” carries no credit nor does it affect your grade point average. The last grade issued will be computed in your record. You are required to pay normal tuition and fees for repeated courses. If you have questions regarding how this policy applies to your situation, you should discuss it with the Registrar. Financial Aid is limited for repeated courses. Financial Aid can be used for one repetition after passing a course. After that, additional repetitions will not be included in Financial Aid eligibility. Check with the Financial Aid Office for further information. You are classified as a first-year student if you have earned 0–29 semester hours of academic credit. You are classified as a second-year student if you have earned 30 or more semester hours of academic credit. NCC will accept the credits awarded for successful work at a properly accredited college or university. If you are in Arts and Sciences, all acceptable college credit will be evaluated by the Registrar and transfer credit awarded. This transfer credit information will be available during the initial enrollment term. The credit evaluation will be placed on your college transcript. NCC will accept a maximum of 16 semester hours of Vocational/Technical credit only as elective credit towards the Associate of Arts and Associate of Science degrees. If you are enrolled in Career and Technical programs, transfer credit may be evaluated by the Registrar, Academic Dean, and program instructor to determine if similar coursework will apply to NCC’s program. This transfer information will be placed on your transcript. NCC will accept grades corresponding to “C” or better for transfer if the grades are from a properly accredited institution. Decisions about the applicability of transfer courses toward the College’s requirements will be made by the Registrar’s Office. Any questions regarding this should be directed to the Registrar. NCC accepts as elective credit toward the Associate of Arts or Associate of Science Degree a maximum of 16 semester hours of credit earned in courses not designated as college transfer. The required core for the degree sought must be completed. All other requirements for the degree sought must be met. The provisions of this policy shall apply to credits earned in residence at NCC or at another approved college provided the internal articulation policy of the sending school is on file in the Registrar’s Office at NCC. Northwest Iowa Community College offers the College Level Examination Program (CLEP). For more information about the CLEP Exam, specific subject matter information, and minimum score requirements, contact the Director of the Learning Center. CLEP credits should not be granted if they duplicate credits for courses already taken. CLEP Subject Exams have no maximum credit limitation but credit hours granted shall be the same amount granted for the completion of a similar course at NCC. A maximum of 30 semester hours shall be allowed for CLEP General Exams (6 semester hours per exam maximum). NCC shall accept for transfer CLEP credit granted in accordance with the preceding five steps providing the transcript also shows no less than 12 semester hours of regular resident credit earned. Northwest Iowa Community College has developed articulation agreements with several high schools. Through these agreements, high school students who have received Vocational/Technical instruction may earn credit which could be applied toward the Vocational/Technical program in which they are enrolled at NCC. It is the enrolling students’ responsibility to inform the Registrar if they have high school coursework to articulate. Additional information regarding the High School Articulation Agreement may be obtained by contacting the Colleges Tech Prep Coordinator. Self-directed study provides an opportunity for you to earn credit for independent research or study in areas not covered in the regular curriculum, or to explore in much greater depth a topic covered in a course. Each self-directed project must be arranged in advance through a supervising faculty member, the Academic Dean, and the Vice President of Student & Academic Services. The Vice President of Student & Academic Services will be responsible for assigning credit hours for the study. Regular tuition and fee charges will apply. A maximum of three hours of credit in any one semester, and twelve hours in total, may be earned through self-directed study. Credential Review—Students receive an “L” grade for the course upon a positive review of the credential(s) and final approval by the academic dean. Credit by Examination—Students receive a “T” grade for the course upon the successful completion of the examination and final approval by the academic dean. Portfolio/Lab Assessment—Students receive an “L” grade for the course upon a positive assessment of the portfolio(s) or lab demonstration(s) and final approval by the academic dean. For current fee schedule, please see the Registrar. Northwest Iowa Community College is a Servicemembers Opportunity College (SOC) that strengthens and coordinates voluntary college-level educational opportunities for Servicemembers. Credit in physical education for active duty. DANTES or USAFI courses with acceptable scores or grades. Recommendations of the American Council on Education are one of the methods used in determining possible credit for military experience. Northwest Iowa Community College is supportive of a student who is a member, or the spouse of a member if the member has a dependent child, of the Iowa National Guard or Reserve Forces of the United States and who is ordered to national guard duty or federal active duty. Upon verification of orders requiring active duty, you may select from several tuition credit options. Additional information regarding tuition credit may be obtained by contacting the Registrar’s office. Audit enrollment in courses provides you the opportunity to attend a course as a noncredit participant, usually as a listener-observer. This kind of enrollment may have value for you if you want an introduction to a subject outside your major field, a review or refresher in a subject, or other purposes where credit and grade either are not needed or would pose an unnecessary academic threat. With the permission of the instructor and the Academic Dean, you may enroll in any course on an audit basis. You and your instructor must agree about what portion(s) of the course you plan to audit and the requirements the instructor has about your class attendance and participation in class work. If you fulfill the agreement for the audit, you will receive the grade of “N” (audit) for the course, and it will be entered on your academic transcript. If you do not fulfill the audit agreement, the Registrar, upon request of the instructor, will withdraw you from the course and issue a “W” withdrawal grade. Audit enrollments carry neither credit nor grade point value. No inference is made, nor should conclusions be drawn, about the quality or quantity of a student’s mastery of the course subject matter. Standard tuition and fees apply to all audit enrollments regardless of the length or scope of the audit. Financial Aid CANNOT be used for audit courses. If you achieve a minimum grade point average of 3.5, are registered as a full time student, and are not receiving an incomplete on any attempted credits for a semester’s work, you will be recognized for your achievement by inclusion on the Honor’s List. The Honor List is publicized in local newspapers. If you graduate with a cumulative grade point average of 3.50 you will be recognized at graduation as being an Honor Graduate. You will also be awarded an Honor Cord at the graduation ceremony. Northwest Iowa Community College provides past students who have not been enrolled at NCC for the past five years an opportunity to remove one or more of their NCC academic terms from future degree and grade point considerations. Changes in grade point consideration do not apply to Financial Aid. If you have additional questions see the Financial Aid office. The student must not have been enrolled in college credit instruction at NCC in the past five years. 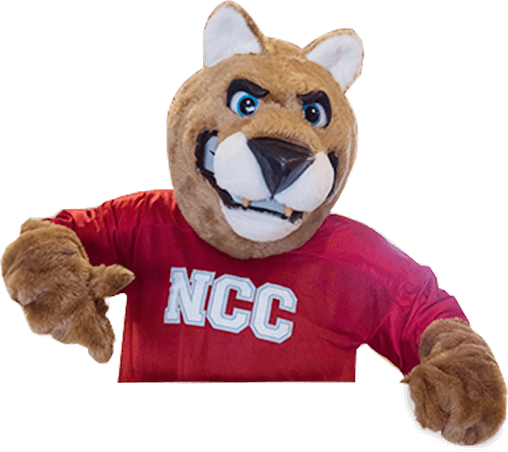 The student must be enrolled in credit courses at NCC pursuing a degree or diploma. The student must successfully complete one term with a 2.0 grade point or better of higher coursework before the student will be granted cumulative grade point forgiveness. Northwest Iowa Community College awards you a degree or diploma once you have completed a specified educational program. In addition to the knowledge attained from specific program courses, you will complete general education requirements. General education courses will assist you to better understand human relations, social, and environmental issues, and to become more competent in communications and mathematics. Additionally, you will acquire knowledge relative to our society/culture and develop the awareness that your full potential is achieved through a lifetime of learning. Successfully complete a minimum of 60 semester credits. General education credit must be selected from courses ending in an “A” suffix. Successfully complete a minimum of 15 semester credits from any additional area or from a pre-professional focus area. * Students must successfully complete a minimum of 15 semester credits through NCC. The remaining 20 semester hours will be accepted from arts and science electives designed and acceptable for transfer. Successfully complete all courses required for a major. All degree seeking AS students must complete “The College Experience” course. Successfully complete all required technical courses. Courses must be selected from Communications, Math, Science, Humanities, Social Sciences and Computer Literacy. Purpose: The AGS degree is designed for those students who have chosen to follow an individualized course of study, in close consultation with an academic advisor, which is not specifically designed to transfer to a baccalaureate degree program. The AGS degree provides an attainable associate degree for those who have completed a career program of less than two years duration, for those whose educational goals have changed in the middle of a different degree program, or for those whose personal or career goals do not require the AA, AS, or AAS degree. “The College Experience” (SDV 108, 1 credit). Communications (at least 9 credits). Social Sciences (at least 9 credits). Science and Mathematics (at least 9 credits). Humanities (at least 9 credits). Electives (at least 23 credits). Attain a minimum grade point average of 2.0. Courses taken may be A, C or E level. Attain a minimum cumulative grade point average of 2.0. You are requested to attend a graduate prep session during the last semester or term of your attendance. This interview will cover graduation, placement, and financial aid procedures which apply to your responsibilities for graduation. If you are eligible for graduation, you must complete an “Application for Graduation” form by the fifteenth day of classes during your last term. The information that is gathered will be used for your graduation program and diploma/degree certificates. You must apply for graduation during registration for your last semester or term of study. A graduation fee is payable at that time. A fee will be applied for each additional degree, diploma, or certificate for which you apply. If you are registered for the last semester or term of a career education program, you may receive an “early out” for the purpose of employment. Procedure for “early out” requests may be obtained from the Registrar’s Office. NCC conducts three graduation ceremonies each year. The Spring Graduation is held at the end of the Spring Semester (May), the Fall Graduation is held at the end of the Fall Semester (December), and the Summer Graduation is held at the end of the Summer Term (July). Participation in the ceremony is voluntary and does not guarantee that you will officially graduate. You will have your award mailed after semester grades are recorded, evaluated, and all financial responsibilities to the College are met.